According to Don and Alex Tapscott, authors of Blockchain Revolution (2016), blockchain technology is a digital ledger of economic transactions that is incorruptible. It can be programmed to record financial transactions as well as virtually anything of value. The technology is similar to the internet due to the fact it has a built-in robustness. It stores blocks of information that are identical in its network. Blockchains have no single point of failure and cannot be controlled by a single entity. The computers used to make up a blockchain system guarantee its integrity and contribute to the content of the ledger. As a result, there is no need for a trusted third-party agency or middleman to maintain the database. This is an attribute that has attracted trading exchanges and banks to the technology. A good example of a trading exchange that uses blockchain is Bitcoin. Various major players in the mobile banking industry have shown a lot of interest in blockchain with some starting to roll out systems for consumers. For instance, Humaniq uses blockchain technology. It is a secure and simple 4th generation mobile bank. By dissolving all the barriers associated with archaic banks such as protecting data with complex, hard-to-remember passwords, dealing with buggy, hard-to-use mobile apps, doing endless paperwork and the need to go to a branch, Humaniq has been able to develop a completely new banking experience. The company said they have created a strong, safe financial tool, specifically designed for people who don’t possess identification or are undereducated. Majority of such people live in third world countries or regions with emerging economies on less than $2 a day. Humaniq believes their platform can help change that. In a blockchain system there is no central authority. Computers exchange transactions to be included in the ledger they share using a peer-to-peer network. Every node in the chain has a copy of the ledger, and it will not trust other copies of the same because of the signature they have. The latest transactions are periodically wrapped in a new block of data which is to be added to the chain. Each block, alongside the transaction data, contains a computational hash’ of the previous block in the chain and one of itself. Digests, another name for hashes, are short digital representations of larger data chunks. Faking or modifying a transaction in a previous block would change its hash. This means that the hashes embedded in the said previous block and other subsequent blocks will have to be recalculated if the change is to be hidden. That would be almost impossible to do before all honest participants add legitimate, new transactions to the end of the chain. Secure biometric authentication is offered the perfect match by blockchain technology. Privacy, security and convenience are enhanced. HYPR is a solution that uses blockchain technology in biometrics. 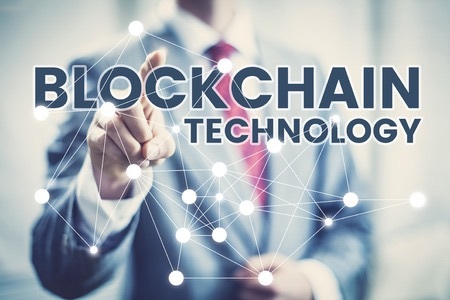 Blockchain provides a decentralized and distributed method of maintaining user data without the need for an individual entity to process or store it. Information can’t be corrupted or changed. To enable a truly decentralized authentication, HYPR combines blockchain with the convenience of biometrics. An interesting use of blockchains is keeping a record of what should happen in the future, instead of what happened in the past. Blockchain is used to process and store “smart contracts’ by organizations such as the Ethereum Foundation. It is executed by computers in network on a pay-as-you-go basis as long as they participate in the blockchain. They are able to respond to transactions by transmitting, storing or gathering information, or transferring any digital currency the blockchain deals in. The blockchain they are stored guarantees the immutability of the contracts. Blockchain technology has a plethora of applications. It can be used in different industries and platforms including financial inclusion. Blockchain, as revolutionary as it sounds, uses a mechanism that brings everyone to the highest degree of honesty and accountability. No more machine errors or human error, missed transactions, or even an exchange done without the consent of all parties involved.